"Should I buy the Audix SCX1, the AKG Blue Line or should I save up for an Audio Technica AT4053b?" I see questions like this quite often. And truthfully, I've asked myself questions like this lots of times. Before I jump in and attempt to give you some of my thoughts I want to first of all make one sweeping statement which I believe all enthusiast film makers and videographers should consider: Audio and lighting gear is generally a better investment than camera gear. Please do not misread that statement. I am not suggesting that you should not buy cameras. If you want to make films, you need at least one camera. However, I see so many cases where a filmmaking enthusiast carefully saves up their money for that amazing new camera from Sony or Panasonic or Blackmagic Design and spend their entire budget on the camera and absolute bare essentials to get that camera to the point where it can shoot, i.e., a lens and a tripod. Then, they have no more budget left for lighting or sound gear. And of course, we all have to start somewhere so I'm not saying this is something you should never do. You pretty much have to on your first purchase. But here's the thing. In two or three years, that camera will be considered rather dated and most filmmaking enthusiasts will be scheming new ways to upgrade to a better, more recent camera. And if said filmmaker made a good decision on which camera system to buy into, and let's be honest, got a little lucky, they can buy a new camera which can still use all of their existing lenses and other gear. But then they still have no funds left to buy lighting or sound gear. Here's something to consider: If you buy a good microphone, it can easily last you 10 years. And I'm not even talking about super expensive microphones like a Schoeps Super CMIT 2U which retails for well over $4000 USD. I'm talking about a decent microphone which will work for most of your productions, maybe $200 USD or perhaps even up to $1000 USD. Note, this is significantly less expensive than all of the Sony alpha full frame cameras, less than a Panasonic GH4, and less than most of the Blackmagic design cameras. Over 10 years, you'll likely get more usable hours out of a microphone. Also, while a camera is necessary to make films, if your scenes are well lit and the audio is well recorded (i.e., with an external microphone, and preferably with a proper audio recorder) your production value can be very good, even with a more modestly priced camera. Even with a $500 camera. Another thought: When first starting, it may be that you can only afford a $20 lavalier microphone. That's ok since one of the most important factors to getting great sound is to get the microphone close to the talent. But I would warn against a slow climb up the gear ladder to get to where you want to be. That is the most expensive way with potentially few benefits along the way. Instead, try to get to a "Buy once, cry once" frame of mind. Upgrading from a $20 lavalier microphone to a $79 microphone and from there to a $120 microphone to a $250 microphone to a $400 microphone would cost you $869 over the course of time. 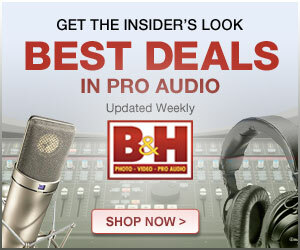 You may be better off just sticking with that $20 or $79 microphone until you've saved up enough for that $400 model because often, there isn't that much difference between each of those price points in terms of audio quality or other problem solving features. Consider lighting instruments: If you buy a clamp light with a consumer bulb and are able to get decent results, why bother upgrading to a $120 LED panel with poor color quality and relatively little light output., then to a $400 LED panel with more output but still poor color quality, then finally to a $700 LED which has good output and color? Why not keep the clamp light until you're ready to invest in that $700 panel and in the meantime focus on your skills and building out your grip kit? Now please understand that I'm preaching mainly to myself here. I've done a lot of little upgrades that haven't amounted to much. I've bought microphones at all of those price points. I've done almost the same on the lighting front. Now I have some lighting gear and microphones which I never use. And if a piece of gear doesn't provide significant improvement over the gear it is replacing or solve a clearly identified problem, then why spend the money? So let's all be a little wiser out there, friends! Let's pull back on the silly gear ladder climb and focus on our skills and upgrading when we need to solve a specific problem or will find a substantial production value boost! I'll do my part by borrowing gear where I can and comparing and reviewing them so that you hopefully don't have to gamble your own money. Older PostWhy do Pros Use Zaxcom Mixers/Recorders/Wireless?